Ready to build a custom home? Avoid these 4 costly mistakes. Building a custom home is a huge investment. 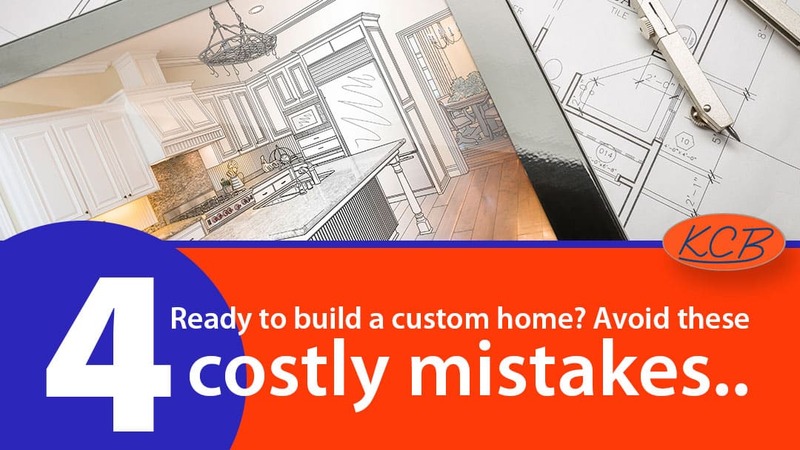 To ensure that you have the best experience and the best outcome possible, be sure to avoid these 4 costly home building mistakes. Mistake #1: Rushing the process. Building a custom home is not a fast and simple process. From planning through construction, building a custom home can take about one year. The initial planning stage, before any construction begins, can take approximately 4 to 6 months. The planning phase includes choosing your residential contractor, going over the bids and cost estimates, purchasing your land, and designing your home. Your contractor is the linchpin of the entire project. Don’t make this decision in haste. Bids have a lot of information. Go through them carefully and thoughtfully. Choosing land isn’t just about choosing where you want to live, it’s also about choosing land that will work with your ideal home design. It’s a good idea to include a contractor in this decision because he will know what type of land will work best with your home design, or he can advise you about what type of home design will work best with your land. The design of your home is also incredibly important. Don’t rush it. Really think about how you will live in your space and what will work best for you and your lifestyle. *For more guidance related to the steps above, see the links at the end of this article. Rushing any step in the process does not benefit you in the long run. Your move-in date may be sooner, but you could have potentially sacrificed your own long-term happiness and satisfaction. Hurrying through your planning and design decisions could leave you with regrets. Take your time. You also don’t want to rush the construction process. Quality construction takes time. If you have chosen a qualified, skilled, fair, honest, and experienced contractor, you should be able to trust the pace of construction. There will be stages that go quickly and stages that seem to stagnate. Stages such as the excavation, foundation, and framing seem to go fast. While other stages, such as drywalling, seem to go slow. But drywalling, when done properly, simply takes more time. Be patient. It benefits you and your contractor, and, ultimately, your home will be better for it. Mistake #2: Choosing a contractor based solely on price. It’s a risk. Choosing the lowest priced contractor could mean you’re sacrificing quality, craftsmanship, skill, and experience. It could also leave you paying more in the end if the contractor’s bid wasn’t accurate. Price alone is not a fair way to compare contractors because each contractor’s bid is going to be unique and calculated differently. Why is that contractor priced so much less than the other? Did he include a substantial amount of allowances? Has he included everything that the other contractor did? What is the quality of materials he’s using? What is the quality of his labor? Where is the savings coming from? Consider these questions when reading your bids and choosing your contractor. Usually when a bid is considerably low it’s because it wasn’t done properly. The contractor may have included too many underestimated allowances, or he may have failed to include major items such as a well or an access road. Your contractor is the most important decision you will make when building a custom home. Don’t let cost alone be your deciding factor. 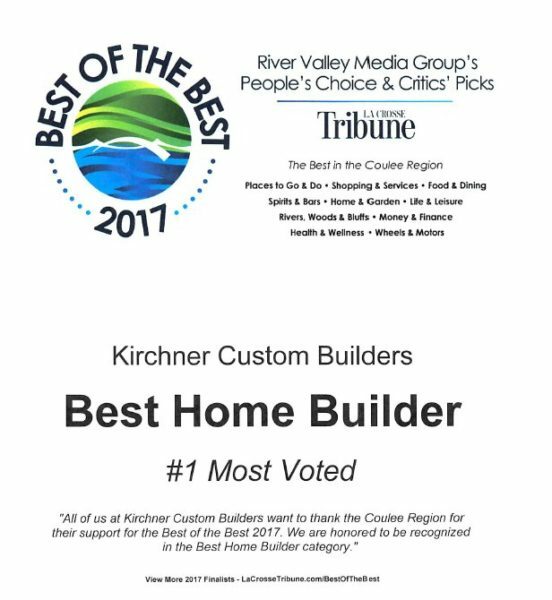 *To learn more about choosing the right contractor for your custom home, see the links at the end of this article. Mistake #3: Designing your home for 5 days out of the year. If you entertain often, then for you it’s a priority to design your home to accommodate that lifestyle. But if you only have guests, gatherings, or parties a few times a year, you don’t need to base your home’s design on those occasions. Making design decisions based on events that only occur a few times each year can leave you with a less than ideal layout of your home, unnecessary costs, and wasted space. You might have 30 people over every year for Thanksgiving, but do you really want that 300 square foot dining room for your family of five the other 364 days? You may have a dozen family members stay with you every Christmas, but do you really want 3 empty guest rooms the rest of the year? Try not to let a few events a year overly influence your home’s design. Design your home based on what you need and value most in your typical daily life. Mistake #4: Caring too much about what other people think. If you find yourself regularly asking your contractor or home designer, “What do other people do?” or “I don’t know… what do you think?” Then you may want to refocus your own priorities. Building a custom home should be about what YOU want. It’s a time when it doesn’t matter much what other people think. Your home is not for them, it’s for you. Just because most people do something one way does not mean that’s the best option for you. You are building a custom home, not an average home. Customize it to fit your needs. You may get overwhelmed with all the decisions you have to make and that can cause you to lose sight of your design goals. But instead of simply making decisions based on what other people think or do, it may be helpful to bring in an interior designer who understands your needs and aesthetics to help you make those decisions. 5 Steps to take when choosing a contractor for your custom built home – BEFORE asking for a bid. 3 Important factors to consider when assessing the costs in your home construction bid. 5 Key Points To Consider When Comparing Residential Contractor Bids.